Chicken breasts are my main source of animal based protein, so I tend to eat them a lot. I know you know that this can get a little boring. So I am always on the lookout for ways to jazz it up a bit. As part of my work, I try a lot of recipes. Although they are very varied in types of foods, they also vary according to the meal. For example, I would not bake chicken breasts for breakfast, though someone may, and I encourage them to do it if this is their preference. Anyway, my point is… I have maid this recipe numerous times and still cannot get enough. 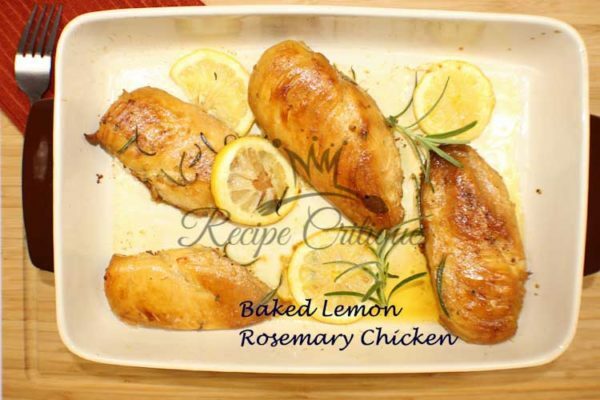 The fresh tangy flavor of the lemon pairs amazingly well with the fresh rosemary. I enjoy this with a simple garden salad and lots of bread to dip in all that lemony goodness. 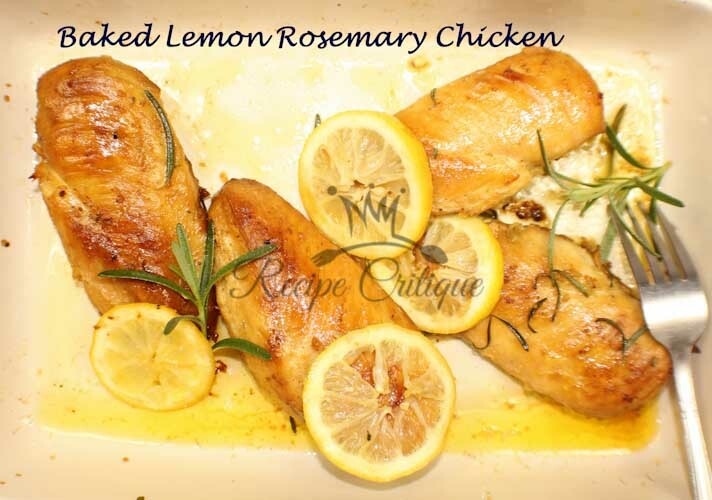 Take my word for it, this is one healthy lemon rosemary chicken recipe you will want to try for yourself. Preheat oven to 400 degrees and grease a baking sheet or large casserole dish. light season the chicken breasts with salt and pepper. Melt butter in a large skillet over medium-high heat. Add chicken and cook chicken 2-3 minutes on each side just until browned. Transfer chicken to prepared baking sheet. In a small bowl whisk together chicken broth, lemon juice, honey, garlic, all seasonings (excluding the fresh rosemary). 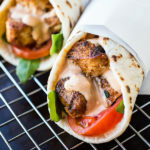 Pour sauce over chicken. Bake 20-30 minutes until chicken is cooked through. Every 5-10 minutes baste the chicken with the pan juices. Garnish with fresh rosemary and lemon slices if desired and serve. If anyone does try it, please come back and leave us some feedback here. I would love to know what you think of it.